Charmian Koed lives in Nelson and finds more time to write now that she has retired from teaching. 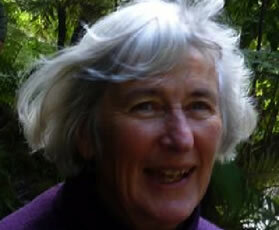 A couple of her poems have been selected for the N Z Poetry Society’s anthologies in recent years. The Lustre Jug is in a form very different from most of her writing, and is one of those mysterious poems that more or less wrote itself! Her poem The Lustre Jug was published in New Dialogues and New Beginnings- Poetry Anthology 2013.